Look at this. Just … look at this. They ran right next to each other. The disparity between stereotype and reality, I thought, was impossible to miss. I wonder if it was deliberate. 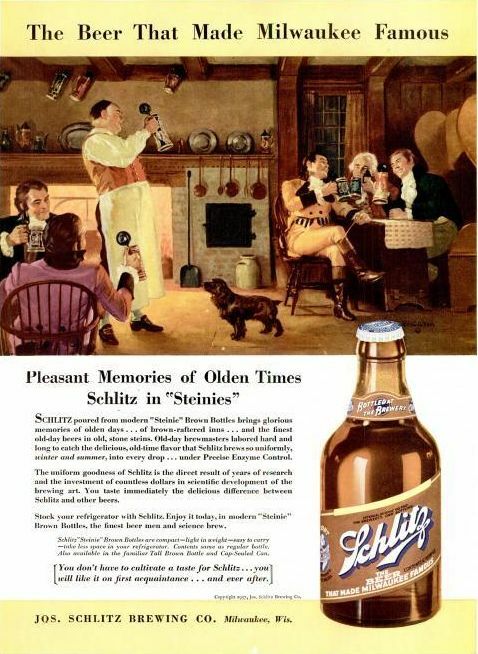 Sticking with beer, here’s one from Life‘s September 13, 1937, installment. 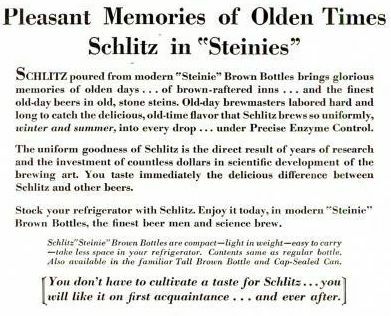 The New-York Historical Society Museum and Library is hosting an exhibition on the history of brewing in New York. 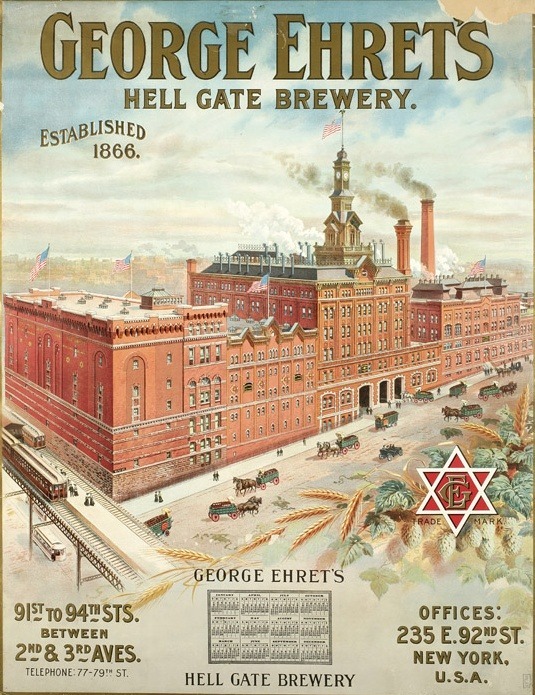 Prior to Prohibition, NY had a thriving brewing industry, with vast plants in Brooklyn (we lived down the street from a former brewery site in Bushwick), Queens, and even Manhattan. 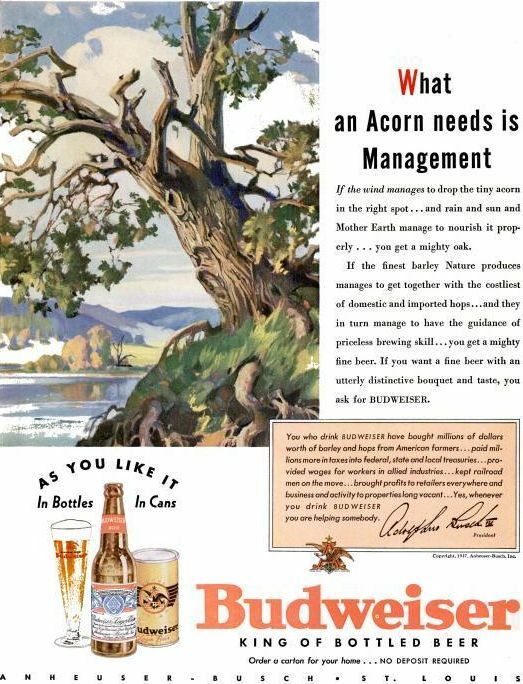 The museum’s Tumblr is posting images from the exhibit, including some great old advertisements. 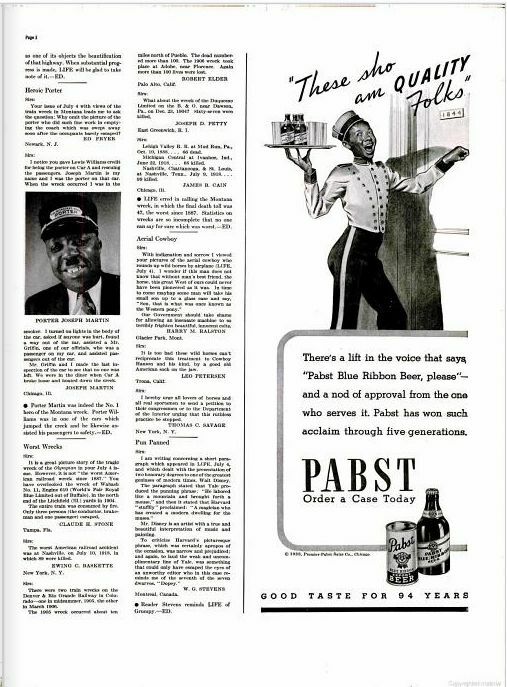 For more on the exhibit, here’s a piece from the WSJ. The exhibit opens today, May 25, and runs through September 2. BBC Radio 4’s The Food Programme this week did a report on the American craft-beer scene and how it’s starting to influence brewmasters in England. Among the brewers interviewed are guys from Harpoon, the Cambridge Brewing Company, and Brooklyn Brewery’s Garrett Oliver. Makes me want to pop the cap off one right now.